Andy Warhol, founder and leading figure of the American Pop art, was born in 1928 as a son of Russian immigrants in Pennsylvania. He began his career as an artist by creating advertising graphics. 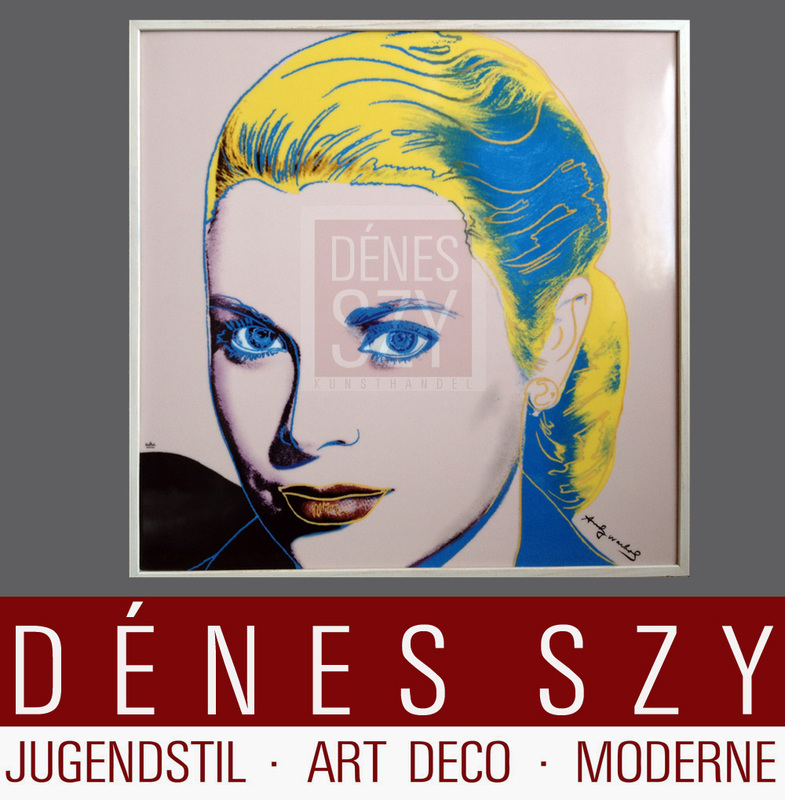 Already in 1956, he presented his graphic works at the Museum of Modern Art. In the early 1960s Warhol began experimenting with different techniques and started focusing on typically American objects of the consumer society, as for example Campbell’s soup cans or Coca Cola bottles. In 1962 Warhol started with his series of portraits of famous stars, such as Marilyn Monroe or Elvis Presley who were then at the height of their career. His renowned studio ‘The Factory’ was a meeting point for internationally successful artists, actors and musicians. 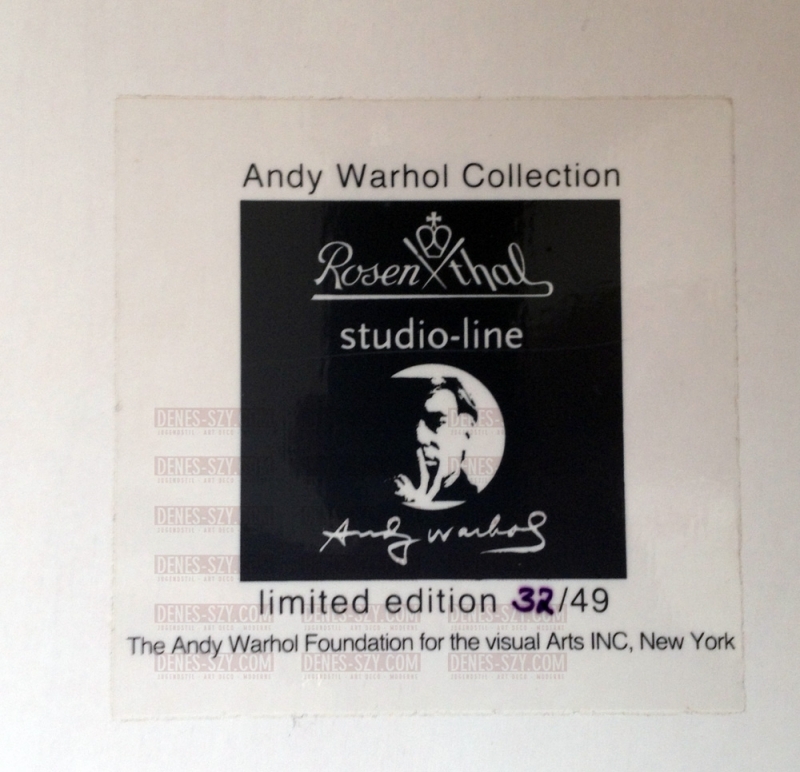 As early as in the 1970s galleries started exhibiting Warhol’s work, which is now part of some of the most famous collections, such as the Museum of Modern Art in New York, the Tate Modern in London and the Musée d’Art Moderne in Paris. We are happy to take care of your wishes, please click on the upper right corner DO YOU HAVE QUESTIONS? or at the top right on CONTACT. Or visit our shop during the opening hours.